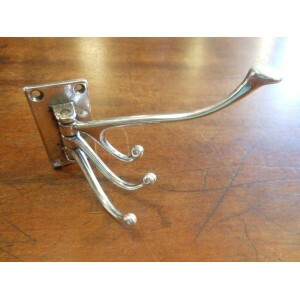 Elegant folding silver hook, ideal for the back of a door. Antique Silver Plate. Measures; Overal hook length 100mm; Protrudes120mm; Backplate measures 70mm x 35mm. 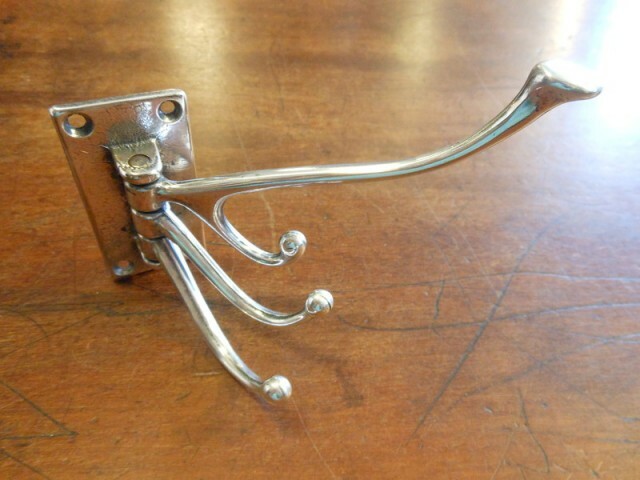 These hooks are lacquered. Priced individually.